Hello Happy Site Owners! 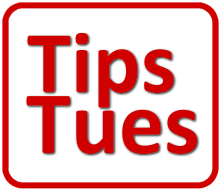 This is the BlogAid Tips Tuesday Podcast for Dec 10, 2013, and I’m your host MaAnna. This week’s tips include the pending release of WordPress 3.8, a bunch of books that will make super stocking stuffers for the content marketer in your life, five super marketing takeaways from a big time brand that you can use right now, five ways to find your unique marketing angle and standout from the crowd, content marketing for a boring industry, SEO without a website, a new crawl errors tab in Google Webmaster Tools, and why you need to know your site stats. So let’s dive in. Listen to the podcast. I want to say thank you to the folks who are voting for the BlogAid Podcast on iTunes. I’m super focused on trying to get enough ratings for it to display an average on the site. So, if you enjoy this podcast, even if you pick it up through an app on your phone instead of iTunes directly, it helps so much if you would take a moment to log into iTunes and cast your vote or review. That’s how even phone apps know which podcasts to highlight. They use the iTunes rating. I know it’s a pain to go onto iTunes for some folks, but I really appreciate you making the extra effort to support BlogAid with this so I can continue to reach more folks and deliver this high-quality info for free. And I want to mention one of my G+ buddies, +Gary Matthews, and thank him for leaving me such a heart-warming comment. It was to a post I shared with a vid tut overview of the TinyMCE Advanced text editor plugin. Gary said, “You’ve once again changed my life. Yeah, I know, all too well, that words like “life-changing” are grossly overworked. And it’s especially easy to overuse with you — you change my life just about every time you release a new tutorial. But I’m feeling superlative-challenged today. That really warmed my heart. I am blessed to have so many clients that are putting good into the world. What I do with BlogAid is one way I can support those efforts, by helping them become confident, successful site owners. WordPress 3.8 is scheduled to be released to the public on December 12th, which is this Thursday. Look for a video from me with a preview of the changes which are the MP6 coat of paint to the admin area, a redesigned dashboard page, and a new widgets admin page, and a thing called Omnisearch. And just as a point of interest, before the .org version of the software rolls out to the public, it is automatically being pushed onto sites hosted on WordPress.com. They don’t have any choice about when they update. That’s the joy and curse of managed hosting. It’s very likely that paid managed hosting will push the updates through the minute the new version is released too. There’s been a major update to the Local SEO plugin by Yoast. This is a premium plugin that expands the functionality of the free WordPress SEO plugin by adding specific markup to help businesses get found in local search. The updates include a new store locator function that helps folks find where to buy your product. And another big update was to allow franchises to have sites with different domains. ‘Tis the season. Roger C. Parker has a most excellent post on the Content Marketing Institute blog with super gift giving ideas for the blogger in your life, or yourself. The list includes some big time thought leaders and how-to folks, plus a few you may not have heard of yet. I believe most all of the books are available in both digital and print form. That’s handy if you want something to wrap for under the tree. Or, if someone is getting a new tablet, maybe the digital version would be a great way to help stock their library. And while you’re there, you’ve got to read this super post. The takeaways are superb. I practice many of these principles, but found a few new ones that really made me just stop what I was doing and try to figure out how I could incorporate them into BlogAid. And that’s what I’d like to invite you to do as well. Pause on each takeaway and make a list of how you are either already doing it on your site, or can start doing it. Working through it that way may give you some fresh insight into how you see your site and your content. And perhaps that will open you up to new ways of doing. Are you actively trying to stand out in your niche? If you want to, but are perplexed on how to, this post on the Convince and Convert blog will definitely give you some ideas. And several of them require you to be bold. I know some of you shy away from that, but I invite you to do it no matter how much it makes your knees knock together. The only way to stand out is to take a step in that direction. And what else is really great about this post is that Greg provides five examples so you can get real ideas of how to do it. Constantly creating fresh content is tough enough. But it’s a lot harder when you think you have a boring niche, or you’re getting stale on it yourself. On his Quick Sprout blog, Neil Patel will make you stop yawning with the tips in this post. He breaks it down into 6 lessons or tips that will wake up your creativity in a hurry. Lesson #1 is – Ugly industries have bigger opportunities. And Lesson #2 is – Solve problems. And that’s something that I think everyone can start on immediately and see success if you’re not already doing it. I know that one is big for BlogAid. There are four more, and Neil doesn’t just dredge up cliches. He gives you actionable tips in a fresh way. SEO Without a Website: Wait, What? SEO is not just for websites. I found this post on the Higher Visibility blog by Amanda DiSilvestro to be very interesting about all the other places SEO counts. Everybody needs to pay attention to the first one, which is SEO on social media. In my opinion G+ is top dog there. And it’s a good use of your time to learn how to craft super posts there. That’s especially true if you’re just using it as a link dump now, or you just transferred your Facebook tactics over to that platform. If you’re in that boat, you’re really missing out on the power and culture that is uniquely G+. And if we’re not already connected there, be sure to Circle me and say hey. Well, it’s about time. Google Webmaster Tools has finally added a new tab for crawl errors reported by its smartphone bot. So, if you know that your site depends on mobile traffic, this data will be of great interest to you. And, if you don’t know whether your site depends on mobile traffic or not, take a look at this and other data in GWT. There are stats that tell you the percentage of site visitors that are using mobile devices to read your site. Keep in mind that includes tablets too. My stats tell me that the ratio of computer users to mobile is 200:1 for BlogAid. That’s because I write so many tutorials, and folks are going to be on their computer working on their site while they do them. Now, where folks do read BlogAid on mobile are the RSS-to-email feeds of my blog posts. And the special email template in MailChimp for them is mobile optimized. Knowing these kinds of stats help you make decisions about both your site, content and marketing. That includes things like whether to be overly concerned about having a fully responsive theme or not, which against popular belief, is not the right choice for every site or site owner. You’ll find at least 100 posts telling you otherwise, and spitting out mountains of data to back up their point. But very few of those posts reveal what type of site, content, or audience were included in the tests. Bottom line, don’t believe everything you read, and invest in your education so that you can properly vet the advice that you do read. If folks suggest you do this that or the other with your site, without total disregard for you, your site, or audience, and you don’t know much about those things either, how much success do you think you’ll have online? I’ll let you in on another little secret. Superior marketing trumps it all. I’ve seen super high-dollar earners with crappy sites and SEO. That kind of marketing includes relationship marketing and social media. So, if that is your strength, then invest most of your time, energy, and education there. If being found in search is your thing, then invest in ways to successfully do that. Follow the advice that most closely aligns to your goals and strengths instead of trying to do it all. You’ll go further faster and enjoy more success. When you’re ready to go beyond generic advice and have someone get in the trenches with you, to develop a plan that works for you and your audience, contact me. Let’s see what we can come up with together. That’s a wrap for this week’s Tips Tuesday podcast. Please feel free to share this post and podcast with your friends. You can find this podcast on iTunes, Stitcher, and Blackberry Podcast and I appreciate everyone who votes for the podcast there. You can also subscribe directly to the blog posts to get them via email. Visit BlogAid.net for more tips, tutorials, and free resources to make your site better.